Ethanol is providing a clean, safe option as a cooking fuel to alleviate the Haitian’s desperate search for their daily bread. Haiti is a land defined by dichotomy. Its beautiful beaches and tropical conditions once made it a popular tourist stop for luxury cruise liners. But the chronic effects of disease, poverty, economic instability and social unrest, coupled with the infrastructural devastation from the 2010 earthquake, have positioned the country of Haiti amongst the poorest countries in the world. I had the opportunity to visit Haiti this past April and experienced the devastation firsthand. A short two hour flight from Miami gets you to the capital of this neighboring Caribbean Island, but leaves you worlds away from the things we take for granted in our country. Stepping outside of the airport and into the streets of Port-au-Prince leaves no doubt things are different here – very different. The cab ride from the airport to the hotel gave me a glimpse of the vastness of the damage to the city as a result of the 2010 earthquake. Partially destroyed buildings and piles of rubble still define every street in the city, letting me think little has been done to rebuild the city the past four years. A sea of humanity walks the streets desperate for means to obtain their next meal. One cannot help but almost feel guilty for what we have when you witness so many with so little. We worry about homes, cars, jobs, vacations and having enough money for college and retirement; millions in Haiti worry about what they will eat for their next meal, or if they will eat at all. Representatives from POET, Project Gaia, Dometic and Novogaz met in Port-au-Prince, Haiti this past April to develop a plan to send U.S. ethanol to Haiti to be used for home cooking. The organizations represented brought together the expertise and the passion to try something never before attempted – to import a U.S. produced renewable fuel into a third world country to be used as a home cooking fuel. POET had the fuel, Dometic had the stoves, Novogaz had the local distribution network and Project Gaia had the international exposure to pull it all together. 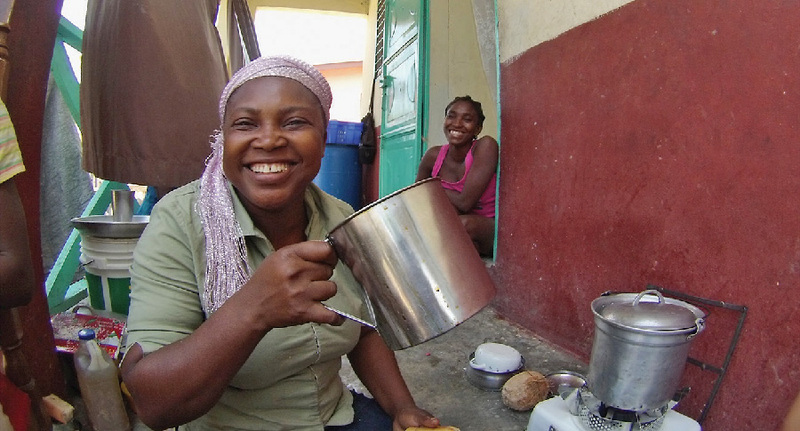 Among the myriad of resource deficiencies Haiti suffers, energy is at the top of the list, specifically fuel for cooking. 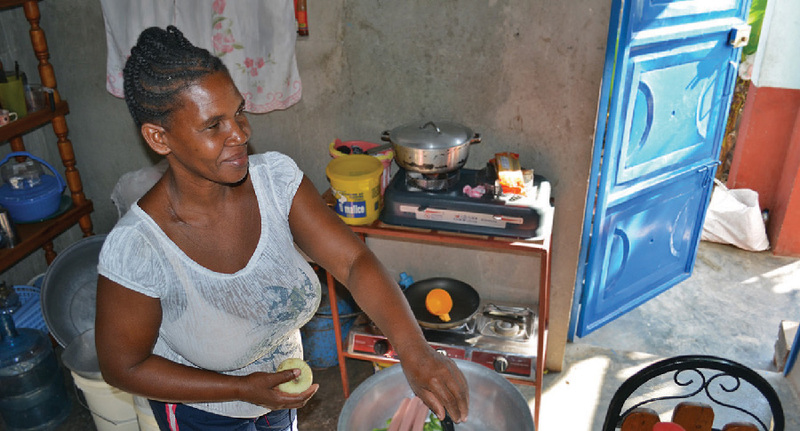 It’s hard to imagine home cooking fuel as a constraint for the average Haitian when we just walk up to our stove, push a button and within minutes, we are ready to prepare our next meal. 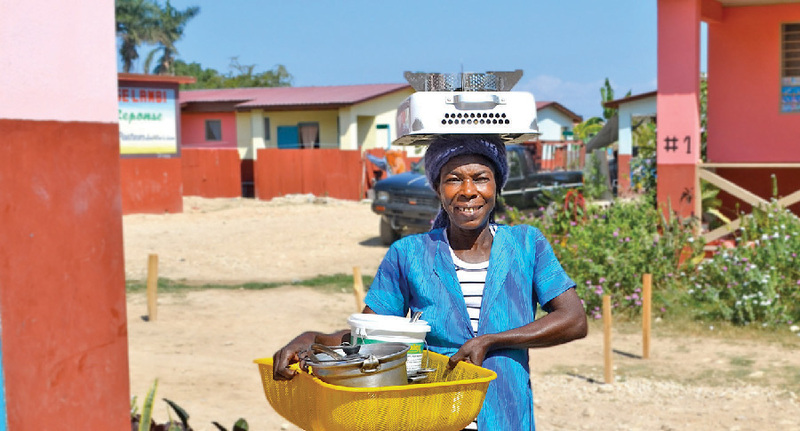 As difficult and expensive as it is for a Haitian mother to prepare the next meal for her family, it is equally challenging for her to find and purchase the fuel to cook the meal. The unemployment rate in Haiti is currently estimated at over 80%. In the United States, economists fear an economic downturn when the unemployment rate ticks over 8%. At its peak, unemployment rates during the Great Depression reached 25%, a far cry from the 80% experienced today in Haiti. As a result of Haiti’s staggering unemployment rate, there is virtually no middle class present in the country. There are only a small number of elite business owners and government officials and the rest live in perpetual poverty. These masses occupy every street of every city, town and village in Haiti. They appear in the rural country settings, along the dirt roads and hillsides. Their faces are everywhere and their expressions tell the story of their desperation. The effects of using this type of home cooking fuel are both ecologically devastating and physiologically lethal. 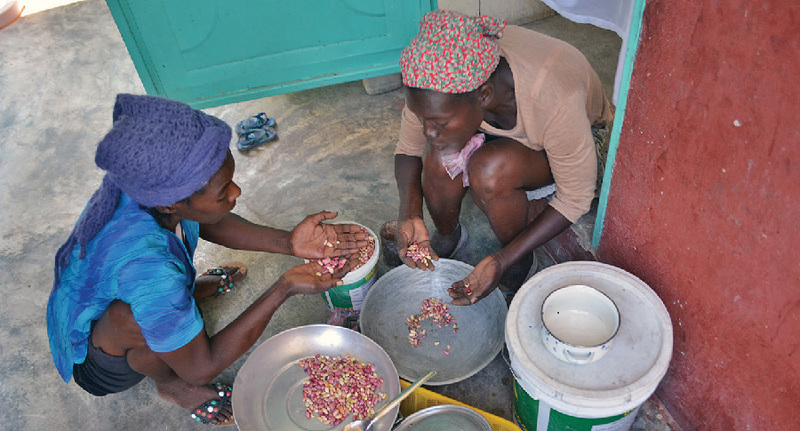 During the rainy season in Haiti, which extends from April through October, Haitian mothers are forced to cook indoors. The conditions they are subject to during these months would be the equivalent of taking a Weber charcoal grill inside a house and cooking a meal, twice a day for months on end. The respiratory effects of the resulting indoor air quality truncate the lives of Haitians at an alarming rate. In 2012, 22 percent of children’s deaths (age 5 and younger) were attributable to acute respiratory infections. What we see in Haiti is also a global issue, it is estimated more people die annually from illnesses related to household air pollution than from malaria, tuberculosis and HIV/AIDS combined – over 4 million deaths a year. 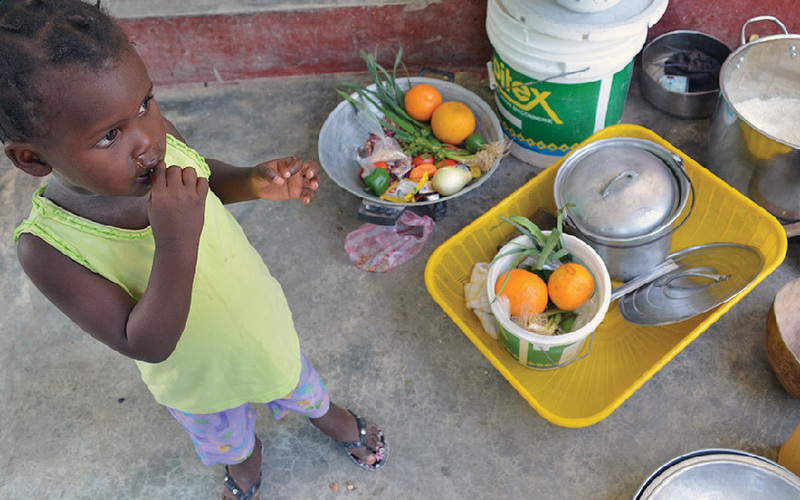 The need for cooking fuel in Haiti has resulted in rampant deforestation, which results in numerous catastrophic ecological conditions such as soil erosion, more significant temperature swings and increased arid conditions. Put simply, the wide-spread use of wood in Haiti for home cooking has resulted in significant damage to the landscape of the country. Unless a home cooking alternative is identified, the damage will reach an irreversible level – assuming that point has not already been surpassed. It is estimated that less than 5% of Haiti’s forest cover remains. Enter our beloved molecule, ethanol. For decades, ethanol has been used in the U.S. primarily as an automotive fuel, and as good as it is for our cars, ethanol is an even better home cooking fuel. The characteristics of ethanol as a fuel and its combustion chemistry make it an ideal home cooking fuel. Ethanol is safe to handle from both a toxicity and flammability standpoint and the emissions from burning ethanol are virtually nonexistent, with the primary combustion byproducts being simply carbon dioxide and water vapor. Compare that to the smoke from your charcoal grill – I choose ethanol. The average Haitian home uses approximately $1 worth of cooking fuel per day in the form of charcoal (approximately one two-gallon bucket full) to cook on average two meals per day. 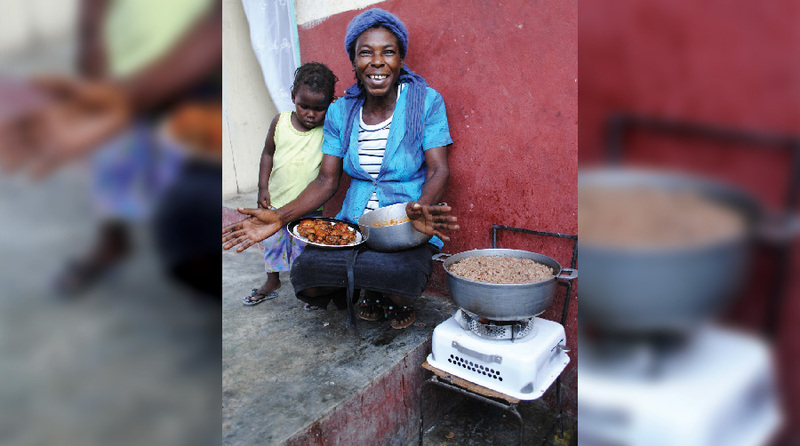 The Clean Cook stove developed by Dometic that uses ethanol as a fuel can cook the same two meals per day using only slightly over 500 milliliters of ethanol (the equivalent volume of one 20 oz. bottle of soda). This puts the economic value of ethanol fuel as a direct replacement for charcoal in Haiti at $6.50 – $7.00 per gallon. As I write this article, the spot price for U.S. Denatured Fuel Ethanol is approximately $2.21 per gallon. Surprisingly though, it’s still difficult to get what we have a relatively cheap abundance of to a close neighboring country, while making the effort economically viable. By the time you factor in freight, Haiti sales and duty taxes, and bottling and distribution costs, the economics are only marginally positive – but they are positive. It’s been said many of the global crises we face today are less a result of an inadequate supply of needed resources and more a byproduct of the logistical challenges or government’s inability or unwillingness to get the needed resources to its people. This has certainly been the case for this project. Project partners continue to battle a myriad of regulatory (both U.S. and Haitian) hurdles and logistical challenges in order for the first shipment of U.S. fuel ethanol to be transported to Port-au-Prince, Haiti. Ben Sweat and the POET Ethanol Products team took the brunt of this work load and after years of hard work they have completed the slow, arduous crawl up the muddy hill of regulatory hurdles and logistical gymnastics. Without their involvement and tireless resolve to see this through, this project was DOA. But thanks to their expertise and unwavering persistence, the project has begun to move forward. On October 1, 2014 the first load of U.S. ethanol left Jewell, Iowa and was placed on a ship for Port-au-Prince, Haiti – marking the tangible beginning of a vision that began some five years prior between POET Founder Jeff Broin and Project Gaia Executive Director Harry Stokes. That vision: to bring clean burning ethanol fuel to the homes in third world countries to improve the standard of living and drive positive socio-economic change. In the minds of Jeff Broin and Harry Stokes the vision to help those suffering from hunger and poverty went well beyond just basic humanitarian relief. While Jeff was quick to demonstrate his commitment to getting this project off the ground by donating the first 10,000 gallons of ethanol to initiate the project, the long term economic sustainability of the project was just as important to the two visionaries. The country of Haiti is testimony to the fact that you cannot give people out of poverty. Despite the best intentions of hundreds of non-profit organizations and millions of donated dollars, the country of Haiti has made very little progress towards sustaining its own people. Economic opportunity is what they need, not another handout. Socio-economic development is teaching a man to fish; humanitarian relief by itself is simply giving the man a fish. Practically speaking what does socio-economic development look like? Well, we believe it begins with creating a market for a product; a product that one day local Haitians can make themselves. Use U.S. imported ethanol as a bridge to build a market for home cooking fuel in Haiti; then, once the market demand is in place, begin to develop production capacity in Haiti. This will result in a demand for feed stocks for the production of ethanol and Haiti, being a once thriving sugar cane producer, could quickly resurrect their agricultural practices and begin to grow their way out of poverty. While simple in concept, it’s never easy in practice. It takes a long term vision and an unwavering commitment to make it happen. Developing an economy takes time, but it’s worth the investment as it is arguably the only method of creating a sustainable country. The beginning of the movement of U.S. ethanol to Haiti is indeed a very exciting landmark in this journey. However, the outlook for ethanol as a home cooking fuel extends well beyond Haiti to around the globe. Project Gaia estimates that if every home in Africa, developing Asia, Latin America, and the Middle East that is currently using traditional solid fuels (such as charcoal, wood and other biomass substrates) would switch to ethanol fuel for cooking, the resulting demand would be over 27 billion gallons of ethanol annually – that’s almost exactly double the entire U.S. market today! The potential demand is extraordinary, while the related regulatory and logistical challenges are equally monumental. But as President Kennedy said, “We have the ability, we have the means, and we have the capacity to eliminate hunger from the face of the earth. We need only the will.” At POET, we agree and we have the will.